Introduction: The Canadian Fencing Federation has placed the responsibility for the training and certification of “P” (Provincial) level referees with provincial branches. This program is designed to assist FENB members in gaining certification. Recruit members to become referees. Educate and train candidates to gain relevant referee knowledge. Provide practical experience in clubs and at competitions. Provide mentorship by experienced referees. Recognize referees for their efforts. Program Overview: A two level system: 1. Club level and 2. Provincial level is to be implemented for each weapon. Standards for both theoretical knowledge and practical skills shall be set. These standards will be reviewed during referee training clinics offered by FENB. Assessment for certification will involve a theory test (oral or written) and a practical test. Once “P” level certification is attained, referees must maintain a minimum level of refereeing activity and attend upgrading seminars from time to time. Ability to move appropriately with the action. Ability to use corner judge system. Ability to establish correct starting distance. Ability to recognize & penalize common yellow card offences. Ability to award hits with 75% accuracy over 10 bouts. Evaluation: There will be no evaluation at this clinic. Correct use of terminology to describe action. Ability to award hits with 85% accuracy over 10 bouts. 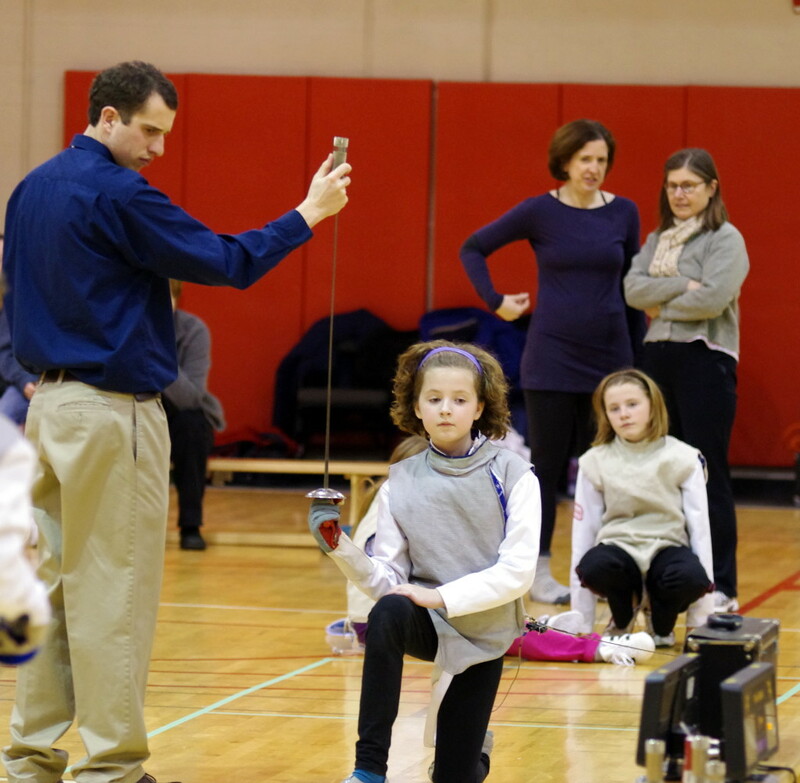 Evaluation: Judge three 5 hit bouts and a 15 hit bout between experienced fencers. Judging Supervised at Tournaments: After attending/passing these three clinics, can referee at tournaments supervised; must referee at least four tournaments (minimum of 12 hours). Practice Exam: After accumulating a minimum of 12 referee hours, and with recommendation of supervisor, can be evaluated by another referee at a tournament (practical only) in a practice exam. Once have passed practice exam, minimal supervision is required for refereeing. Provincial Exam: Can be then recommended by evaluating referee to challenge provincial exam (written and practical) at provincials under evaluation of out-of-province referee.